Run # 6 with its 7.8 kilometers of intermediate level, presents a challenge to cross-country skiers who need that little bit extra. 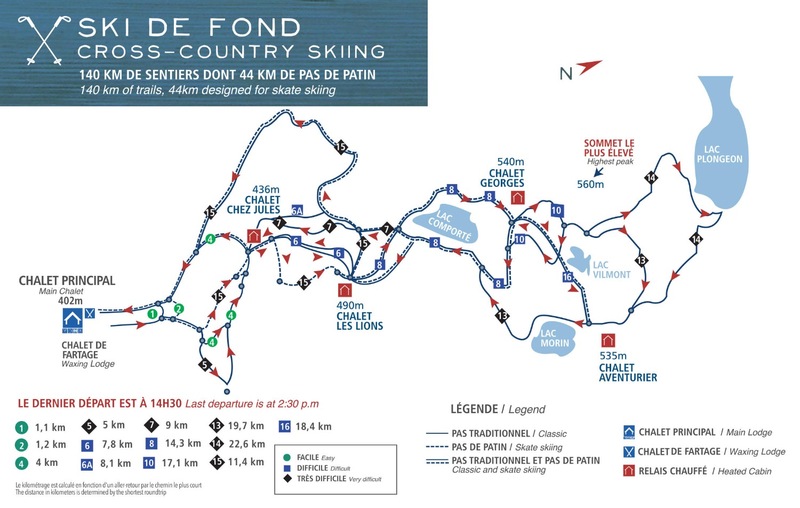 It is part of Mont Grand-Fonds’ offer attracting Nordic ski lovers. A courtesy of Mont Grand-Fonds, hot chocolate, coffee and chicken broth are offered in the wood-heated relays!